Anyone in advertising knows that sometimes you simply need to take a break from the bustling atmosphere of the office, settle down, and find that one great place to get work done. Steam Espresso Bar on Old South Pearl Street is just that place. The owner, Hani Yaafouri, and his brother envisioned offering an excellent cup of coffee in a beautiful setting for many years. Hani, a veteran of the coffee industry, wanted to brew the perfect, artisanal cup of coffee while his brother, an architect, wanted to construct a space conducive to both creation and community. 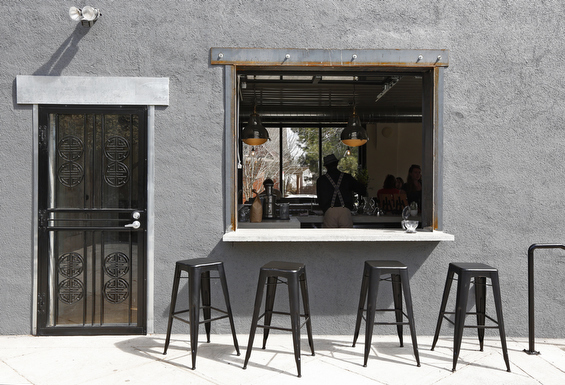 Sit on their bright patio and watch from behind the scenes. Before you even take your first sip of espresso, Steam’s location and space exudes finesse and originality. Hani says that that finding the perfect location for their vision was difficult. 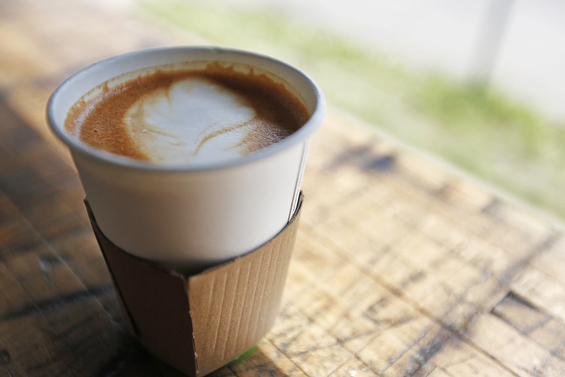 But, when you first step through the doors armed with your laptop and a desire for a artisanal cappuccino or cortado, it is evident that they’ve found the ideal space for their dream. Even on snowy days, the space bursts with light. The scent of white lilies mixes with fragrant coffee grounds, and the quiet bustle of creation and conversation echoes in the background. 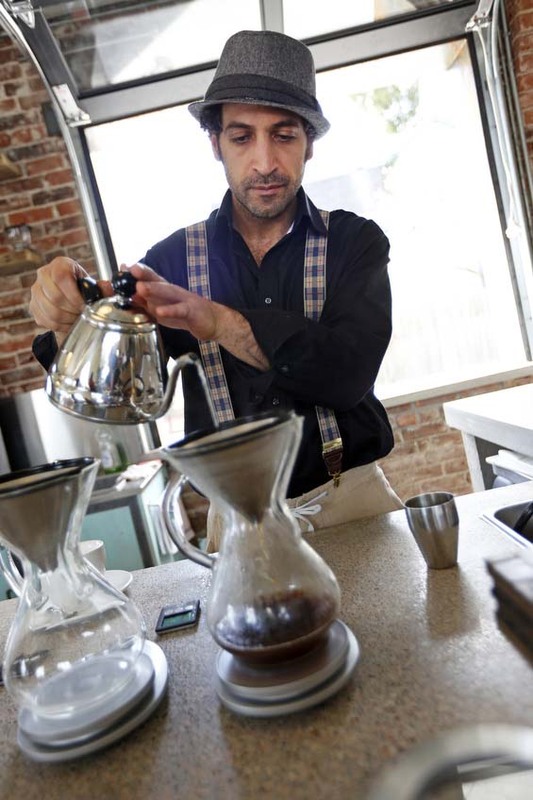 Owner, Hani, takes great care with his pour over coffee. If you’re looking for a truly native, thoughtfully designed space to work, Steam is the place for you. We like to go to Steam espresso to write, chat with our colleagues and friends, or simply watch the day float by. This is just one example of the fine latte art you’ll find at Steam.